Analysis 5G has the potential to make cable and DSL as antiquated and pointless as using a horse and a cart to drive to the supermarket. And it's already here. A few weeks ago, Verizon switched on commercial 5G FWA (fixed wireless access) to the public. Come, ditch the most hated company in America, it whispered. But how serious are the UK mobile networks about taking on the incumbents? Now that three of the big four UK MNOs have laid out their 5G ambitions, we have a clearer idea. Hutchison's Three is the keenest on 5G-FWA and has promised to launch a home broadband wireless offering in 2H 2019. 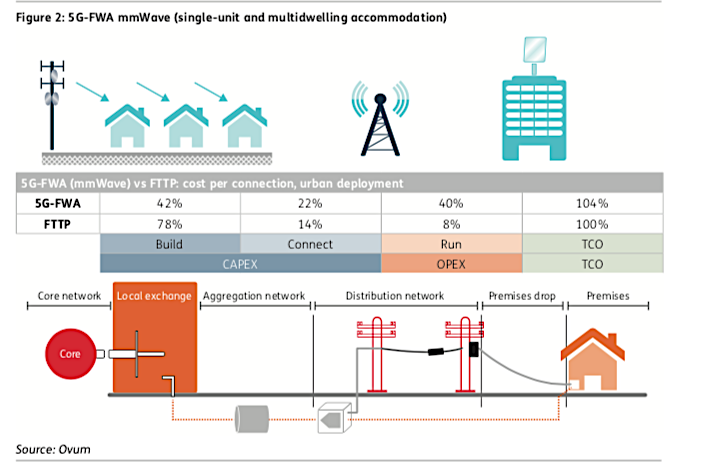 The network has commissioned a report, out today, from Ovum to show how 5G-FWA can be a genuine contender. But there are a lot of ifs that need to be addressed. So what has 5G got going for it? Two big things, really. Ovum believes 5G can help achieve a doubling in the broadband speeds many customers see today, for not everyone is in metropolitan nirvana. The speed boost comes in part from massive MIMO (multiple-input-multiple-output), as Huawei, which has been testing it in the field since 2015, explains here. Using Huawei gear, Three conducted tests in Hong Kong and Austria and found a 3-11x increase in throughput on 3.5Ghz. The other thing 5G-FWA has is cost. It's much cheaper and easier to deploy and that's a saving that can be passed on to a household almost immediately. For example, there's no need for £240-a-year line rental. Overall Ovum estimates it's almost 50 per cent cheaper to deploy. It sidesteps the hassle of booking engineers to visit a premises, and benefits too from economies of scale. This much has been learned from the 4G-FWA market. In Italy, it serves 1.1 million people, or some 5 per cent of the market. But speed is the easy bit. Three says the average punter wolfs down 8GB a month, but estimates by 2025 it will be closer to 100GB a month (a 13x increase). But Dean Bubley, principal analyst and founder of Disruptive Wireless, isn't getting carried away. Bubley points out that in-building penetration at 3.5Ghz is a big question. Homes are becoming better insulated. "Another challenge is going to be whether 5G needs new cell sites, and whether backhaul fibre providers are going to be happy with potential retail rivals," Bubley tells us. Even in spooky millimetre land – mmWAVE technology has inspired a thousand conspiracy theorists – there are real practical problems. 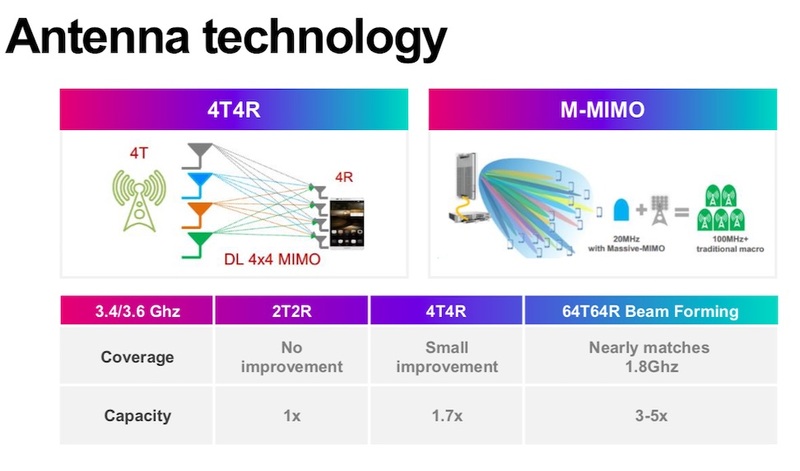 "For mmWAVE indoor penetration is going to be very limited, although the Samsung home router/gateway apparently has 1024 antenna elements for 28GHz so might be able to do cunning MIMO stuff," Bubley adds. Unless it's raining, when mmWAVE isn't much use at all. "For larger houses the operator may need to install multiple-access point Wi-Fi meshes, especially if they are pitching speeds of hundreds of Mbits or more to consumers," Bubley says. It all depends on very local factors: topology and the type of building. Three's acquisition of serial spectrum hogger UK Broadband gave it an ongoing live experiment. This Hong Kong-based telco operates Relish, which offers wireless broadband over LTE in London for £22/month to businesses and consumers, giving the owners plenty of operational insight into the market. Relish had picked up spectrum licenses in 2004, but struggled to find a business. Relish's plans are unlimited, with a folksy AUP (PDF). But don't read too much into it, Three's execs stress. At a recent briefing Three's management called Relish's London offering "a niche product today" – characterising the unit as having "a lot of spectrum but not a lot of sites. Building them was time consuming and extremely expensive." However, you can hear the war drums if you listen closely. "We're going to be sitting on a huge amount of spare capacity on which the incremental cost is extremely low," says Three CEO David Dyson recently. "That's a huge opportunity to roll out home broadband services." Vodafone last week switched on 5G in Salford, at the luvvie-rich Media City business park, with Birmingham, Bristol, Cardiff, Glasgow, Liverpool and London to follow. This uses 3.4GHz spectrum. 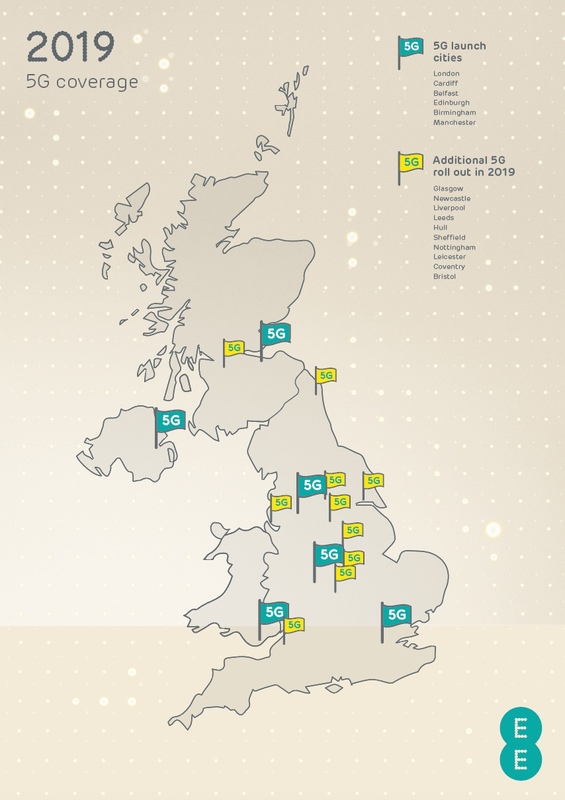 EE plans to bump 1,500 locations to 5G, which it says is quite a bit less than 10 per cent of its current map, but sufficient to account for 25 per cent of total network demand. But neither EE nor Vodafone seems keen to bang the 5G-FWA drum. Not surprisingly: Vodafone has a thriving DSL business and EE is owned by BT. Don't expect these two to be in the vanguard.